SafeShoot recently participated for the first time in Paris Eurosatory 2018. Eurosatory is the biggest defense show in the world. 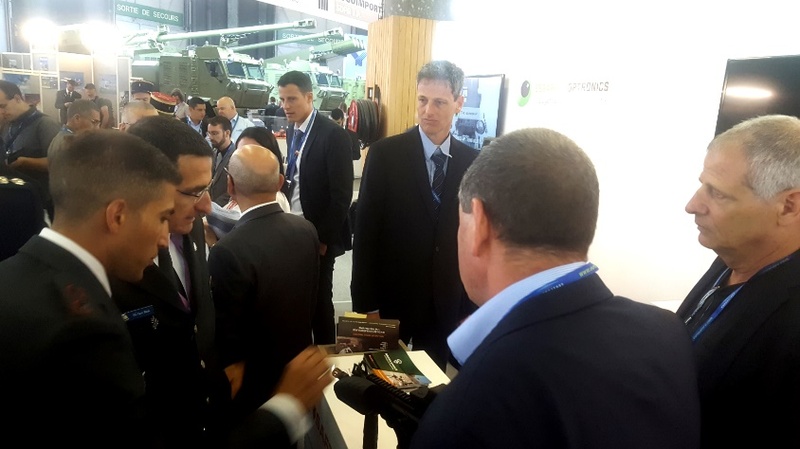 SafeShoot proudly presented within the Israeli pavilion as one of the innovative and attractive companies offering a new solution to the unsolved and painful friendly fire incidents between infantry and tanks, helicopters, artillery or other infantry forces. The show was a great platform to deliver GreenShield (GreenShield is Safeshoot’s military friendly fire solution) to a huge and versatile audience including potential customers, Industries, potential partners, MOD representatives, media and consultants from all over the world. At this stage SafeShoot decided to present in a minor volume having in mind several goals: Exposure, identification of needs and gaps, listening to variety of different users from different disciplines, acquiring new contacts and meeting potential partners for creating synergy and building our global team. Safeshoot’s GreenShield remains a unique solution with almost no realistic alternatives in the military ground forces arena. It can be integrated and we could find channels for collaboration with many types of technologies, products and integrators. The market is aware more than before of the practical need and benefits to missions of GreenShield. It is an attractive solution that can deliver advantages to companies who choose to team with us. The defense media found it very interesting and shared our message immediately in many channels. We opened channels for dialogue with companies and users in Israel and many other regions.